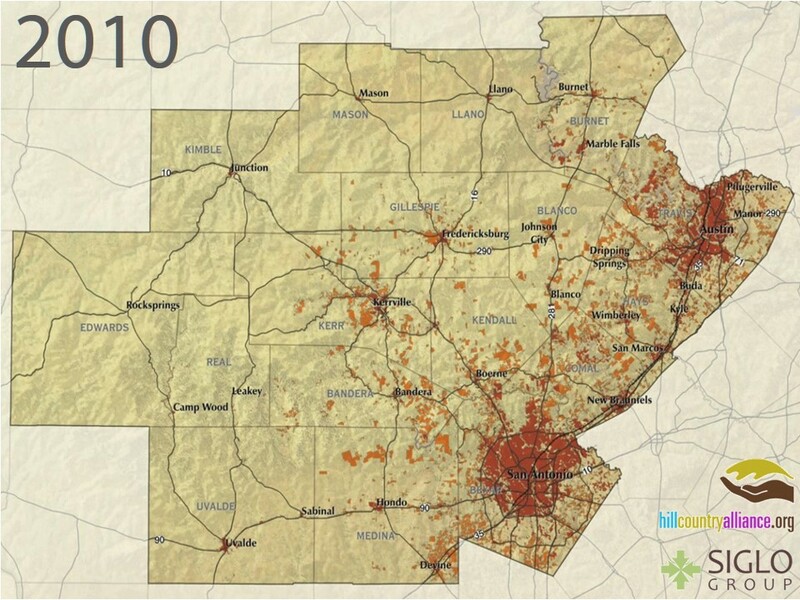 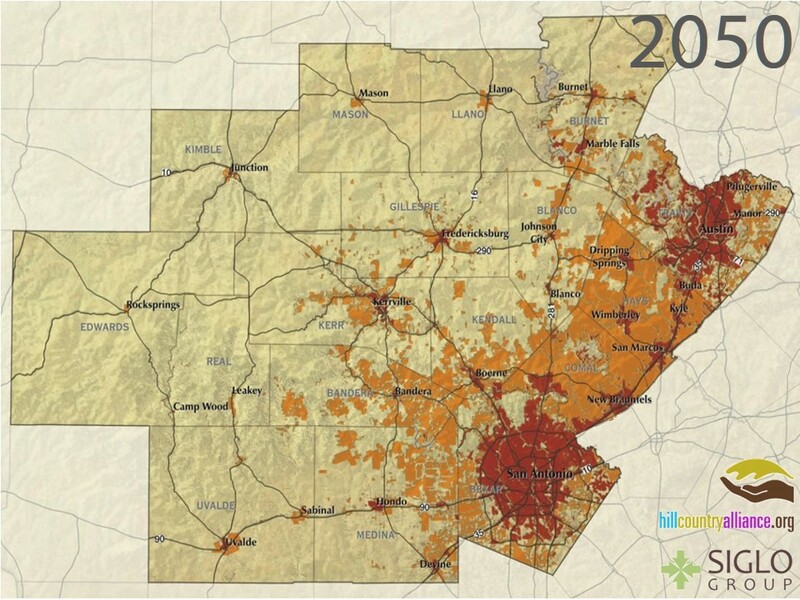 For Hill Country Alliance, Siglo looked at development patterns in the Hill Country and projected what the landscape would look like in 2050 if the current patterns continue. The resulting map shows Hays and Comal counties almost completely developed, with large swaths of land in other Hill Country counties taken up by sprawling development. 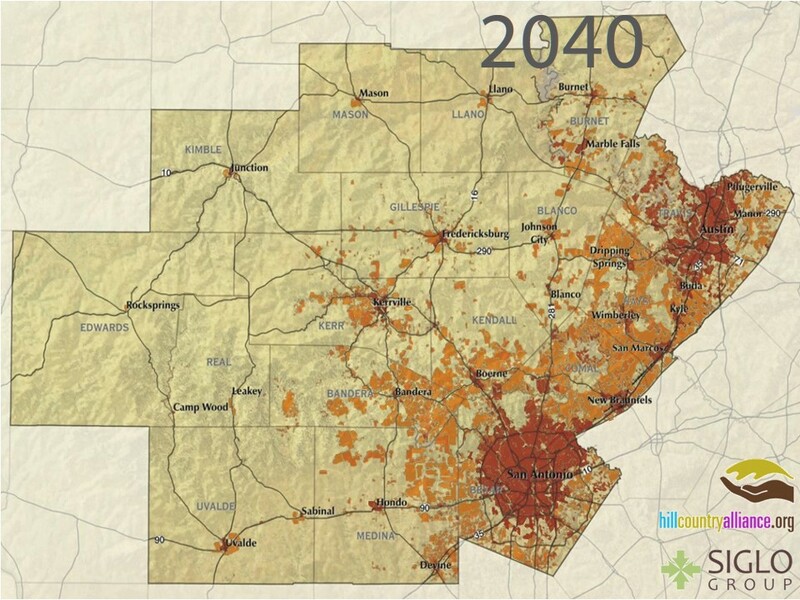 Siglo also determined the amount of space that would be needed to accommodate expected population growth if people continue to live at current densities, as well as the effect of higher densities. 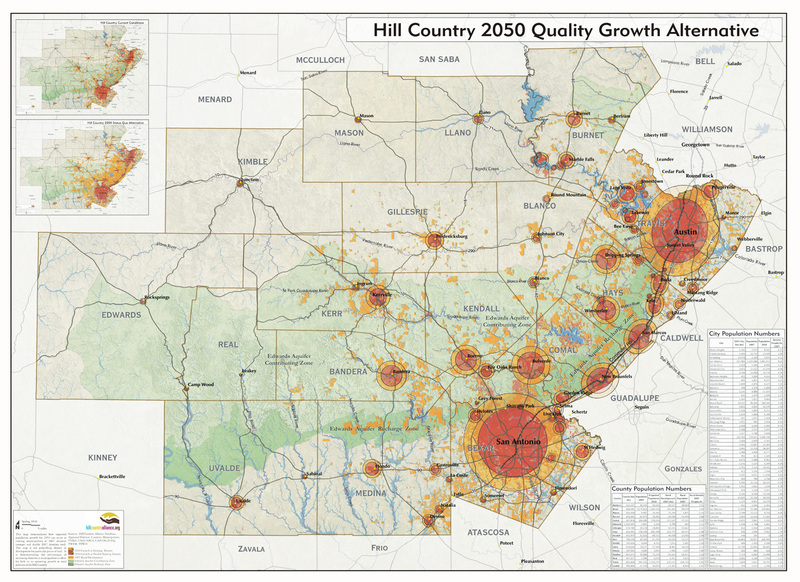 Additional analysis was done using the Theobald Regional Growth Model up to the year 2100.